The U.S. Mint announced that they will issue a limited-edition five coin silver set to commemorate the 25th anniversary of the American Eagle program. All five coins will be mounted in one custom-designed, highly polished, lacquered hardwood presentation case accompanied by a Certificate of Authenticity. The U.S. Mint plans to produce 100,000 of these set with a limit of 5 sets per household. They anticipates accepting orders in late October. Price has not been set. 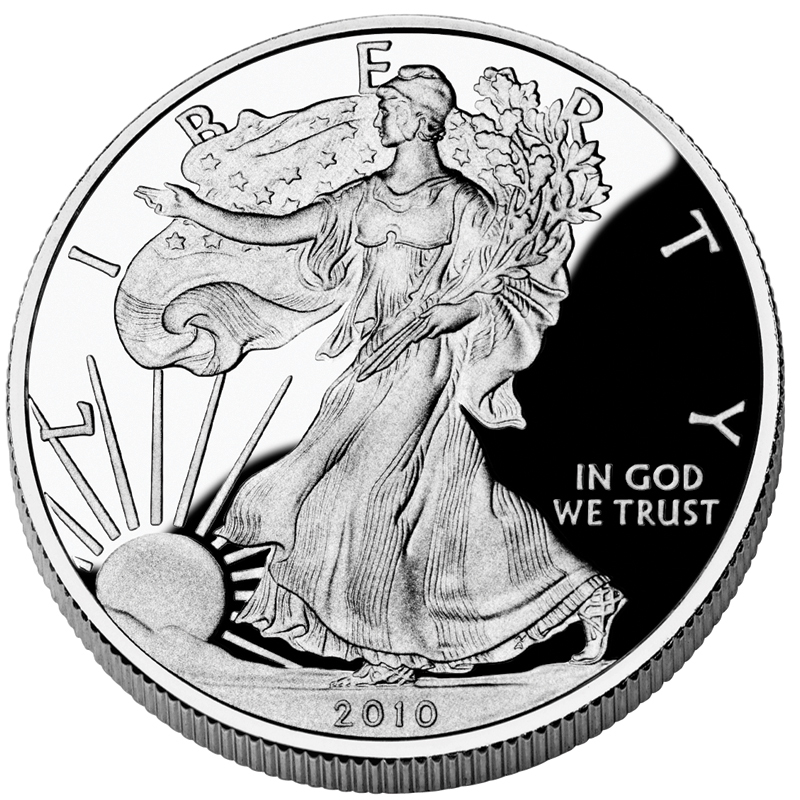 The reverse proof American Silver Eagle appeared in the 20th anniversary set in 2006. It is am impressive looking coin of the Adolph A. Weinman’s Walking Liberty design. I will definitely be working the phones and online to order sets of these coins.